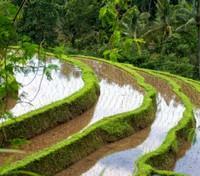 Ride an ATV through cocoa plantations, Balinese villages & rice terraces. 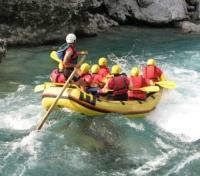 Journey through the rainforest on a family-friendly white water rafting excursion. Discover shipwrecks & marine life while diving or snorkeling with an expert guide. 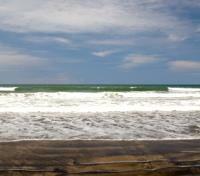 Plenty of downtime on the picture-perfect beaches of Seminyak. Stay at stylish, family-friendly resorts. Ride an ATV through Balinese villages, dive amongst tropical fish, visit holy Buddhist temples, relax on picture-perfect beaches & much more. Adventure has no age limit. This customizable family tour includes thrilling activities as well as plenty of beach and pool time. Explore the mystical wonders of lush Ubud and visit tropical coffee, clove and cacao plantations with a private guide. Visit breathtaking Buddhist temples, take in incredible rice field views and meet local artisans. 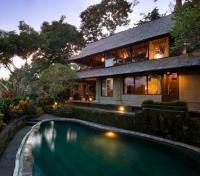 Retreat to your elegant hillside villa and enjoy a swim overlooking the beautiful River Oos. During your time in Ubud, you'll relax and absorb the positive energy of Bali's cultural heartland. Seminyak has become Bali's most stylish beach haven, and its the perfect place for watersports and family beach time. Snorkel or dive to the US Liberty shipwreck, ride ATVs through Balinese villages and rice terraces and swim in the crystalline waters of Bali. Wherever you go, you'll find that Balinese people are extremely warm and welcoming toward children. This family journey is packed with cultural treats and unforgettable experiences. Etched into a hillside overlooking the Tjampuhan ridge, Pita Maha Resort & Spa encompasses private pool villas in a style reminiscent of a Balinese village. Located just 5 minutes from central Ubud, this boutique hotel is an elegant retreat steeped in local tradition. Named after the artistic association that nurtured creative talent during the 1930’s, Pita Maha Resort & Spa is an elegant hotel in Ubud where travelers can experience the true charm of Bali. Pita Maha means ‘great shining’ and this boutique resort honors the island’s artistic legacy. Flowing through unspoiled tropical rainforests, deep gorges, and some far distant paddy fields, the Ayung River’s class II and III rapids gives you a chance to experience true white water adventure. Before departure there is a comprehensive safety briefing and guests are fitted with life jackets, safety helmets, and a paddle. Enjoy the thrill of the rapids, the beauty of the scenery and observe rural Balinese people in their day-to-day life along the riverbanks. This shared activity is safe and lots of fun for all ages with two daily departures. Lunch buffet will be served in the terraced river café at the end of the trip. 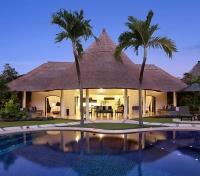 Transfer from Ubud to Seminyak with a private vehicle and English speaking guide. Transfer time is approximately 1 hour and 10 minutes. Impiana Private Villas Seminyak is ideally located in central Seminyak and just moments from leading fashion houses and the world’s most luxurious beaches. Fifty exclusive private pool villas compliment the holiday needs of singles, couples, families and groups who are looking for a private and secluded villa experience with all the conveniences of a fully serviced hotel. Take a dive on the incredible US Liberty Wreck and witness the fantastic array of corals and marine life that have made the 120 meter structure their home. Alternatively enjoy a calm inspection of one of the area’s vibrant coral reefs and see just how varied the marine life on Bali can be. Macro enthusiasts will love Seraya Secrets and Noisy Reef, where an unusual array of marine life can be found at any time of day. 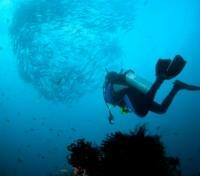 Sea conditions are generally excellent in the Tulamben region sites, little affected by the current. The water temperature is often the best around Bali, at a balmy 26-29ºC and the sun is almost always shining. Numerous Boat Dives, Shore Dives, an array of Macro Life very hard to compare to anywhere in the region along with fantastic night dives, Tulamben has something for divers of all levels and interests. 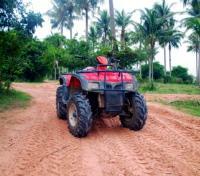 Bali ATV Ride offers a high quality of service of fun. An experienced instructor will carry out a full safety briefing before riding through the cocoa plantation compound, Balinese villages, and rice terrace fields. If it’s more of a challenge that you crave, your instructor will guide you through some of the most technical terrain the site has to offer, traverse seemingly impossible slopes downhill and then use the full power of the bikes to ascend back to the uphill. The inner side of Bali by exploring the island’s hidden beauty in a way that you've never done before. Experience the excitement of riding a powerful 250 cc ATV along the most stunning countryside Bali has to offer.